We spent many years searching for a delicious cider. Since we could not find anything available to satisfy our discerning palate, we decided to create our own version of an exceptional cider. The search, which started as a hobby, became our true calling and passion. 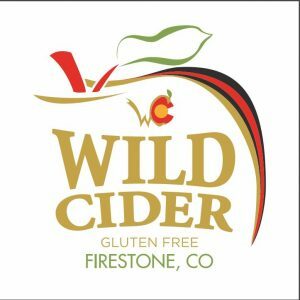 The excitement, dedication and fulfillment in making the best cider possible is the reason our “Wild Cider” is so terrific! Our story begins in the fall of 2012, when we finally found the ideal spot for our cidery. The site in Firestone, Colorado consists of 14 acres of prime, agricultural land, located in rural, north Denver. The property is in the heart of what was once known as “the fruit basket of the West”. Seventy-five years ago, there were over two million fruit trees in Northern Colorado but in 1951 a hard freeze killed the entire cherry crop and decimated the rest of the fruit trees. Most trees were never replanted until we took over! In the spring of 2014, our hard-working friends and family came together to plant our new orchard of 1,100 trees. The orchard consists entirely of the specific English-cider, fruit varieties. These plants will provide the fruit for our cider and we will be able to reanimate our property as the“fruit basket of the West”. First settled in 1919, our property has its own rich and intriguing story. It started as a dairy farm and the original farm house still remains on the property, along with the milk storage barn. In 2004, the property was redeveloped into a creamery which produced gourmet goat milk and cheese. During this redevelopment, a new production facility was constructed, and as it turns out…..it’s perfectly suited for cider production! Fortunately, the modern processing facility was in pristine condition and ready to begin its new life as a cidery. Before long, we had the new and improved facility ready to make our delicious cider. For many months prior to opening our doors, we toiled over creating our final recipes. All our labor has coalesced in the production of the World’s Best Ciders. We are certain you will agree. We can’t wait for you to taste our phenomenal, award winning cider that is made with true heart and passion. ENJOY!